Last week, I watched a video from style expert Bridgette Raes on fashion psychology and closet personality types. I found the insights presented in the video so fascinating that I decided to address a blog post to this topic. I believe that many of you will also enjoy these concepts and may learn some things about yourselves through Bridgette’s wisdom. Before I delve into the five closet personality types and comment on them, I want to mention a few key points. First of all, most women fall into at least one of the types, if not several. The majority of us are a combination of two or more types. There’s nothing wrong with having a closet personality type, as long as it’s managed at a healthy level. However, the extremes of each type can become problematic. But as with all things in life, awareness is the first step toward change. Once we’re aware of a way of being that isn’t working for us, we can decide upon and make any necessary adjustments to our behavior. Below, I will briefly describe each type and share my personal insights and experiences. While I don’t fit into all five types, I definitely know others who are prototypical examples of each category, and I’m sure you do, too. The Pauper is someone who tends to be “cheap,” not only with things in her life but also with herself. This woman is characterized by a ridiculously overstuffed closet filled with very inexpensive items, most of which were purchased on sale or were a “good deal.” The Pauper may or may not be on a limited budget and may even be quite wealthy, but will not buy expensive things. In fact, she is afraid of the prospect of purchasing expensive things and scoffs at the “quality over quantity” proposition. Paupers tend not to have passionate relationships with any of their clothing. Instead of telling you what they like about a particular garment, they’ll brag about how little they paid for it or what a great deal it was. For these women, it’s all about the satisfaction of getting a deal. What they don’t realize, however, is that they actually waste a lot of money and don’t get good cost-per-wear out of what they own. Many of their “great deals” are rarely worn and weren’t even worth the small amount of money they paid for them. I have definitely been guilty of Pauper behavior, particularly in regards to my frequent consignment store purchases in recent years. As longtime readers know, I adhered to the “quantity over quality” approach for years and was always looking for more, more, more. However, I am not a true Pauper personality type, as it was often more about the clothes themselves for me than the deal, and I also spent an inordinate amount of money tailoring the items I bought. During my two-year stint as a wardrobe consultant, I came across my fair share of Pauper types. Such women had steadfast limits for how much they would spend on a garment and would never spend money to alter a $10 item (whereas I believe this can often be worthwhile, even if an item was given to me!). This closet personality type is a much better fit for “yours truly”… Hoarders have a compulsion to want to amass and accumulate large quantities of items. The purchasing behavior is motivated by an internal need, and there is a psychological thrill associated with buying things. Hoarders are the type of women who find it extremely difficult to leave a store without buying something. While hoarding behavior can verge into the pathological, as portrayed by the television show “Hoarders” and other similar programs, that’s not what Bridgette was referring to in her video. Rather, she was referring to textbook “shopaholics” just like me and many of you. In fact, she mentioned this blog as a resource for hoarder personality types who want to change their ways (also recommended were April Benson and Jill Chivers). Of course, this is my primary closet personality type and has been for much of my life. Shopping has long been my main hobby and served as a means of stress relief, avoidance, self-esteem boost, loneliness abatement, and a whole host of other purposes. For years, a large chunk of my time was occupied with shopping, outfit creation, managing my extremely large wardrobe, and planning future purchases. I continue to spend too much time on these activities, partially because I’m still working on finding alternate ways of meeting my psychological needs. But I can see a light at the end of the tunnel and am now much more able to leave stores empty-handed. 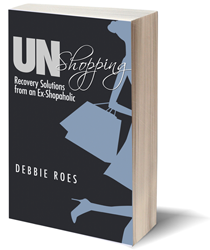 I’m a recovering shopaholic and a recovering hoarder personality type! This type of person has a very difficult time letting go of her possessions. The Sentimentalist has a strong emotional connection to the things she owns and fears that if she gets rid of a particular item, she’ll lose the feelings and memories that are associated with it. 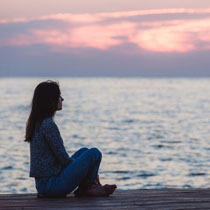 According to a psychologist who works with such people, the anticipatory anxiety around letting go is a far greater problem than the letting go itself. Sentimentalists get stuck in the fear of what will happen after they let go of something, so they basically hang on to everything. It’s okay to keep some things that hold cherished memories, but this can become a problem when virtually everything in a closet has sentimental value attached to it. 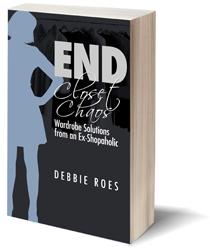 I once worked with a client who had taken over every closet in her large house with her substantial wardrobe. She had clothes dating back thirty years or more and everything had a story surrounding it. This woman found it extremely difficult to let go of anything that had been given to her by her deceased parents and relatives. She hadn’t worn most of those clothes in many, many years, but felt compelled to continue to hold on to them anyway. She was a textbook Sentimentalist and although we made excellent progress on paring things down over the course of a full day together, it was a painstaking process. Fortunately, she was ultimately able to keep a few favorites and let much of the rest go. Devaluists are people who don’t value themselves enough, and their wardrobes are often a reflection of how little time they are giving themselves. These are the women who throw themselves together haphazardly each day and may end up leaving the house wearing stained, torn, or worn out clothing. Many moms fall into the category of Devaluists, as they generally take care of everyone else first and settle for “crumbs” for themselves after giving, giving, giving to others all day long. While I don’t identify with this closet personality type myself, I worked with quite a few Devaluists whose closets were either barren or filled with old, tired clothing. They spent all their time and money on clothing for their kids and either didn’t buy clothing at all for themselves or did so as an afterthought. Many of these women could afford to buy nice clothing for themselves, but they just didn’t take the time to do so. Devaluists need to focus more time on self-care and make themselves more of a priority in life. Such women need to learn that the more they give themselves, the more they’ll have to give to others. There’s a reason we’re told to put our own oxygen masks on first in the event of an emergency on an airplane. When we meet our own needs first and foremost, we are stronger and better equipped to take care of those who need and depend upon us. This closet personality type is pretty much the polar opposite of the previous one. Identifiers are completely consumed with themselves and their physical appearance. They tend to be narcissistic and are very worried about the opinions of others. They are frequently preoccupied with logos, as well as expensive handbags and shoes. While most women have a bit of the Identifier in us in that we like to look nice and value others’ opinions, this can get totally out of control for some people. A dangerous situation is when a person has a combination Hoarder and Identifier closet personality type. I’m reminded of the television show, “My Shopping Addiction.” Many of the shopaholics profiled on that show were obsessed with the acquisition of designer clothing, shoes, and accessories, often to the point where they were in danger of being evicted from their homes. Of course, those were extreme examples, but too much focus on the external can also harm our relationships and make us very shallow people. Although I’m not proud to admit this, I have quite a bit of Identifier in me. I definitely spend too much time and energy on my outward appearance and ruminate too often about what others think of me. These are both things that I’m working on and I’m making good progress on changing, but I still struggle with such issues. Bridgette Raes recommends that Identifiers do some serious soul-searching in order to develop more internal depth and become less consumed with the external. This blog has been a big part of that journey for me and has helped me both to cultivate self-knowledge and contribute to others. Plus, laying my soul bare for all to see is helping me to care less about others’ opinions and accept myself more fully. What Are Your Closet Personality Types? Now that I’ve summarized the five closet personality types as identified by Bridgette Raes, I’d love to get your input. Which closet personality type or types best fit you? Are there any other types that were not covered in Bridgette’s list? What can you add to this discussion? I am planning to do a part two on this topic with advice for addressing the various closet personality types. Bridgette has graciously agreed to answer questions and I will formulate her responses into a follow-on blog post. If you have any questions for Bridgette, please post them in the comments section or send them to me. I also welcome any feedback you have on the information discussed in this post. I always value the spirited discussion that takes place following my posts. I hope this article will elicit thoughts and insights that will help all of us to cultivate more workable wardrobes moving forward! I’ve been in the past several of these types. I grew up without much clothing and really had little even for essentials, case in point I went several years without proper snowboots and lived on a farm in upstate NY in the lake effect storm area. I wore my only sneakers to school and my mom’s old cracked rainboots stuffed with shopping bags and triple layered socks and shopping bags outside for 2-3 hours a day. I was a devaluist and didn’t see much point in spending money on clothing until I was about 16. When I finally had a job at 16 and I bought myself my first nice clothes, i had no clue with fit or what style I wanted and dressed like a skater chic like my friends. I couldn’t imagine spending more than $25 on jeans or $15 for a too, and was a pauper in that respect. I was really minimalistic and frugal bur not in a positive or well thought out way. Then I got a promotion and suddenly had to work in an office and discovered fashion blogs. I was going along the learning curve well and then had an emotionally traumatic experience, and developed a nasty shopping addiction. I suddenly was a horder. I slowly developed an identifyer facet as I got caught up by blogger fads and popular brands and items. Now I feel like I’m moving into the middle ground- influenced by what I want and like more than trends, valuing the money spent, and trying to keep a useful wardrobe at a useful size. You have definitely run the gamut in terms of closet personality types, Meli! Thanks so much for sharing your journey with all of us. My journey has had a lot of twists and turns as well. Thankfully, we’re both learning to find a middle ground these days. Luckily for you, you’re finding it at a much younger age than I am. But better late than never! Pauper over here [raises hand]. Even now, with a very good wage coming into the household, it was sooo hard for me to buy leather pants last month. I’ve wanted them forever, and at $300 they are the most expensive item in my closet. Now, how does that make me a Pauper? They were marked down from $1400 to $400 and then on a further 25% off sale lol. So even in buying myself a nice thing, I have that need to make it a deal. Same with my DVF dress, less than half price eBay, Frye boots, Amazon Wearhouse, MuuBaa jacket, etc etc etc etc. If it’s over $100, odds are I did not pay full retail. I fool myself into thinking I’m valuing myself by buying higher end now, but truth is, I still search for deals on everything. Not sure if it’s being frugal or something deeper. Food for thought. Thanks for getting me thinking. I’m glad this post has gotten you thinking, Mo. I really liked the closet personality types and thought this concept would resonate with many of you, too. I think you’re making progress, as I can’t imagine many of the pauper types I know springing for $300 leather pants even at such a big discount! I have trouble spending a lot of money on one item, too. I am easing into it with watches, purses, and shoes, but can’t remember when I last spent $200-plus on an item of clothing. I’m sure you look great in your leather pants and bravo to you for rocking those at 40-plus (although you look much younger). I don’t think looking for deals is a bad thing, but perhaps if that’s what we ALWAYS do, we might want to try to shake things up a bit from time to time. I am definitely a hoarder. At first I wouldn’t have thought so because I don’t tend to hang onto things, but after I listened to the whole meaning that is me. As I aquire less it’s not so pronounced. At least now I spend more time durning the week washing my clothes rather than shopping for new ones! You and me both, Tonya, but we’ve both made excellent progress over the past year! Like you, I don’t really hang on to things, either. My problem was always buying FAR too much, so no matter how much I purged, my closet was still jam-packed. I’m glad you’re toning down your hoarder tendencies and finding more balance in your life! I think I have seen myself in most of the types at one point in my life. Being predominately a Pauper, I veered over into Hoarder when I discovered thrift stores. I have since purged a lot of what I hoarded. I am still “cheap” but I shop from a carefully developed plan and look for quality over quantity. I feel more comfortable now paying full price, especially for shoes and basic pants and skirts. I have some Sentamentalist streaks, too. I have about 10 sweaters I hand knit. I have not worn them in over 15 years but I can’t seem to let go of them. After reading this about Sentamentalists, I feel like maybe I could take pictures and then let them go. At least they wouldn’t be there reminding me of all the work I did and that I don’t wear them. Any ideas for getting me past this obstacle? I see shades of Devaluist, too, in my past. I remember thinking I was overweight so I never bought myself anything decent. I just wore whatever I had. It dawned on me years later that I had maintained the same weight for 20 years. Maybe I should dress myself to flatter my figure instead of just covering up. Now I don’t feel overweight at all! Thanks for sharing these types with us. I like Brigette Raes, too. She is a hoot! If the sweaters are not worn out, if you still like the colours and texture of the yarn, if you still enjoy knitting, then allow yourself the simple pleasure of uravelling (most likely not the correct knitting-term in English?) the works – and make yourself, or some one you care for, something brand new to love and wear. It needen’t even be more sweaters; options are very wide, if you enjoy felting. Memories will still stay with you, morfed into wearables. Like eating your cake and having it? Huge advantage of home- or tailor made items from quality materials: they can always be altered or become part of a new piece of clothing. Have fun. Re-create and make more memories, while keeping what you’ve already got. Enjoy! Thanks so much for sharing your closet personality story with us, Anne. I see you already got some excellent tips on re-purposing the sweaters from Helle (I wish I learned how to knit in school – yay for Denmark!). What a great idea to unravel and re-knit to a style that feels more “you.” Of course, you probably won’t want to do that with ALL of your sweaters, but perhaps one or two. You can take photos of the others (either just of the sweaters or with you in them) to save as momentoes, or maybe you can just save your favorite one or two. What I’ve suggested is to have a small chest to use for keeping sentimental items. That way, the amount would be contained and the things you never wear wouldn’t be taking up space in your closet. Oh, and I definitely think you should dress to flatter your current figure, especially if you’ve successfully maintained your weight for 20 years. Even if it’s not your ideal weight, you will feel much better about yourself in figure-flattering clothes. I’ve been there, too, and feel better now that I’m not “hiding” as much. Best of luck to you! What an interesting way of looking at your closet! I would say I am a sentimentalist, as I often associate pieces of clothing with memories of places I went when I wore them, things I did or people I met. I think this is at a pretty reasonable level, though, and it can even be a good thing. So often I hear about why we shouldn’t hold on to our clothes, about how memories aren’t in our material objects but in us, etc. And of course that is true to an extent, but I also think that these sentimental aspects to our clothing can make us appreciate it more, and hopefully then we can cultivate a sense of satisfaction and do not feel the need to constantly buy more. This article by Ethica sums up my feelings quite nicely. Of course, any personality trait that becomes too strong and overpowering can impact us negatively. I once read that our worst characteristics are simply our best characteristics with the volume turned up too high. So instead of changing our tendencies completely, we could try focusing on toning them down or balancing them out, while still appreciating the positive aspects to that personality trait. I love what you’ve expressed here, Emma. You are so wise for your years! I agree that balance is really the key, as it is with most things. Some sentimentality is good, but keeping everything one’s ever owned is problematic. The article you linked to said it very nicely and expresses what seems to be a happy medium. We don’t want the Sentimentalists becoming Hoarders, that’s for sure! It would definitely be good for us to fall in love with our clothes more and to not treat them as disposable. That’s something I’m working on and it’s helping me to buy more and to be more thoughtful about what I’m buying. This is very thought-provoking, Deb! I’ve been everything at various stages in my life, perhaps not so much devaluist, but there were days in which I just couldn’t be bothered dressing up, and was making the effort out of respect for the people that I was going to meet that day. With sentimental items, I am guilty of hanging on to things I don’t wear and have not worn for like decades. I am learning to let them go to make room for better things, and to just feel better about life (decluttering is good for my soul). This also marks the end of my era of being a hoarder – I feel like these two personalities are so complimentary. I like to think of myself as someone who is responsible with money, so I try not to spend more than what I budgeted for, and I am learning to shift my purchases into quality items. I am very much a work in progress, and I just hope that I am making progress in the right direction overall. Today, I am a lot more comfortable with managing my closet and wardrobe than I was 10 years ago! I’m glad you enjoyed this post, Belle! It seems that many of us have gone through phases in terms of how we approach our wardrobes. I agree that many Hoarders are also Sentimentalists. Bridgette mentioned in the video that these closet personalities often go together. I’ve never been much of a sentimentalist, but I have hung on to some sentimental jewelry pieces for many years. At least those take up less space! I’m glad to learn you’ve made a lot of progress with managing your closet in recent years. Me, too… I may have a long way to do, but I feel good knowing that I’m moving in the right direction. Hoarder here. Perhaps a bit of pauper growing up because my parents didn’t have much money to spend on clothes. I still fondly remember fall back-to-school shopping! My sister and I had a set amount of money and we would go pick out our own clothes. We had to spend less and get more clothes to last throughout the school year. Now, I like purging things. It gives me a sense of accomplishment. I spent some time the other day making sure we were all set in case of emergencies/disasters. I read something that gave me pause – a “prepper” blog mentioned if there was ever an event that changed the world it would disrupt our ability to purchase new clothes for a very long time. Since I read that I find myself not wanting to get rid of any clothing, socks, coats, anything, just in case. I know that’s ridiculous but maybe that’s what would happen. I have some storage room in our basement; maybe I’ll package up all that doesn’t fit and put it there. I also need to learn how to sew, knit, darn socks and any other essential pioneer woman skill. Is there an app for that? Our path has been quite similar, Kim. I grew up with pauper tendencies, too, and still have some of that in me, but I’ve mostly been a hoarder, too. I agree that purging things brings a sense of accomplishment, but I have to be careful that I’m not just purging so I can buy more! I hadn’t thought of the disaster scenario you mentioned, but I guess such a thing could happen. I don’t see the harm in having some emergency items on hand, but I don’t think planning for disasters should be an excuse to hold on to a lot of extras. Doing Project 333 has taught me that we don’t need nearly as much as we think we do. I got a chuckle from your comment about “an app for that.” I wouldn’t be surprised! At several different points in my life I’ve been a pauper, a devaluist and a sentimentalist. I only ever bought things on sale (and still do) and refused to pay more than was strictly necessary for any item of clothing. For things other than clothes, I would go to several different shops to find the cheapest (if only by a few pennies). It was tiring! My mum told me off for not looking after myself in terms of my clothing, and I had several worn and horrible jumpers (devaluist), and I held onto a dress for years because I had so many memories attached to it. Now, I only buy a few items per year, but prefer quality items if I can afford them, and try to put on outfits that make me feel good. I guess I’m somewhere in the middle of all of the types! Great to see you commenting here, Linda! Hope you are well… It seems you’ve taken a journey through a few of the closet personalities and are coming to more of a happy medium. Knowing about the types gets us to think and to consider if we’re where we want to be in terms of how we approach our closets. It’s good that you’re now buying quality pieces instead of hunting all around town for bargains (good for your mum for setting you straight!). I’m trying to do the same, as well as buy fewer items overall. I have strong sentimentalist tendencies so I really work at keeping stuff at bay. When my father died, I cleaned out his closets — so full of new clothes he never wore and old stuff he’d had for decades and still wore. (The apple doesn’t fall very far from the tree — I wear stuff that I’ve had for years and years but only if they are “in style” and don’t scream the ’70s or ’80s or ’90s). I selected three items of clothing from all of his good stuff (including a NWT thick charcoal gray v-neck cashmere sweater that fit me to a T). The rest went to a charity shop. It was a bit hard to dispose of my father’s worldly goods in this way but knowing that someone else would benefit was very helpful. and having gone through that process has made me more ruthless about clearing out my own stuff. Thanks for your comment, Dottie. I’ve heard from others who’ve said that having to clean out the home of a deceased relative has “cured” them of a tendency to hold on to too many things. I think we often don’t consider the repercussions of our actions, but see the effects of others’ actions gives us pause. I think the way you handled things sounds just right – keeping a few favorites from your father’s wardrobe and letting the rest go. I’m sure it wasn’t easy, though. I certainly don’t look forward to having to go through my parents’ things after they pass. Both are recovering “pack rats” now (I like to think my downsizing has had a positive effect on them…), so it shouldn’t be too difficult to deal with. A few years ago I was a Devaluist-Identifier who came mighty close to becoming a Pauper-Hoarder. I wore raggedy things around the house, and cared far too much about what brands I bought for the clothing, shoes, handbags I wore away from home, and for work. I shopped as a sport searching for expensive items on sale and filled my closet with so much stuff I became overwhelmed. Instead of shopping I began searching for a way out of the situation I’d gotten myself into and found that there was a community of moderate minimalists, and then thankfully I discovered Project 33. Now I’m a recovering Devaluist-Identifier-Pauper-Hoarder who must ask myself hard questions daily and keep following the good road towards less. I can identify a lot with what you wrote, Terra. As you know, I also used to wear raggedy things around the house while overshopping and amassing a huge wardrobe that didn’t really suit my ultra-casual lifestyle. You’re further on in the recovery process than I am, but I understand the need to keep asking the hard questions even after I get to where I want to be with my wardrobe. I can see how it would be easy for things to get out of hand again in short order. I’m glad that Project 333 is there for me as a tool, plus the accountability of this blog will help to keep my Hoarder tendencies from running rampant! I’m a little late to this conversation but I actually have a bit of an issue with the Devaluist personality type. I know the article is focused on shopping and clothing specifically, but I’m uncomfortable with the idea that the only way to value yourself is by spending money on expensive clothing. It reeks of a very capitalist, “because I’m worth it” kind of mentality (I really dislike that phrase!) I mean, I will defend anyone’s right to enjoy buying clothing (and I enjoy it myself), but there are other forms of self-care which are just as valid. My dad, for example, has no interest in shopping and tends to wear the free t-shirts he got free from running marathons 20 years ago. But he wouldn’t hesitate to do something nice for himself, like going for a good meal or doing activities he enjoys. Just a different perspective there. I’m glad you brought up this point, Rachel, and I can really see where you’re coming from. I agree that spending money on ourselves is far from the only way to value ourselves and provide self-care. It was one of the key ways I did it, but you know where that got me! I can’t speak for Bridgette (but will ask her about this), but my guess is that when she sees a closet that is either barren or filled with old, tired clothes, she thinks it CAN point to the person not spending enough time and attention on herself. Of course, there can be other things going on and the person may indeed be showing self-care in other ways, much like the case of your dad. I actually wonder to what degree the 5 closet personalities apply to men, so I will ask Bridgette about that, too. I tried to find my husband among the 5 types and found it difficult to do so! Just wanted to chime in on your question. I think if you look at it from the opposite perspective you’ll see what I mean by the Devaluist personality type. It’s not that you value yourself by not spending lots of money on yourself, what it means is that a person who doesn’t take the time to care for themselves can show through how they manage their wardrobe. And this doesn’t mean that the clothing has to be expensive, necessarily. It means that their clothing can be a symptom of this behavior. I am a devaluist and can speak to the personality type quite well. I am the person who often can’t get their act together, in that my clothing can be a reflection of how chaotic my brain is and that I often put self-care at the bottom of the list. I always envied the person who had a perfectly organized closet, who never seemed to have a scuffed pair of shoes, whose clothes were always ironed and who didn’t have a stray dry cleaning hanger in their closet. Being a Devaluist has no bearing on how much you spend or how expensive your clothes are (that’s more of an identifier personality trait) but how you treat yourself and, usually as a result, your clothing and appearance as a result. Hi Debbie, Just found your site, and read through most of your past posts. I have a question about “saving clothing”. Many of my “better” clothes from past years (and I am talking 10 years or more in some cases) that I still love, are in good condition, and still fit, are NO LONGER IN STYLE. I have a difficult time getting rid of them, because I know that styles swing back and forth, and I keep hoping that they will once again come “back”. Any ideas? Thoughts? Also, vis a vis jewelry, I sold several gold chains to a jewelry store when gold prices were sky high. I received some decent cash, and it was “found” money, since the thin gold chains just languished in my jewelry box gathering dust. Love reading your blog, keep it up! Welcome, Sherri! I’m glad you found my blog and are enjoying the past and current posts. Congrats on being able to collect some money for your old gold chains. Regarding the clothes you still love but are no longer in style… yes some styles do come back into fashion, but they usually change to some extent when they swing back around. And some things just never come back. My advice is to try everything on again to make sure you still love it and to save only the best things. Perhaps designate a number of things to save or just have 1 or 2 boxes of “retro” clothing. There is no absolute right answer on this subject and you have to decide what’s right for you. If you have the space to save things and have worn things that came back in style before, then it could work fine for you. Hope this helps! Wow, I’m definitely a sentimentalist. A couple of months ago, I did a wardrobe detox and found myself having a hard time giving up any clothes. Some of them I had had for over ten years and were bought when I was still a teenager (and my fashion needs were obviously different). After deciding which clothes to sell, donate, etc., I took two full bags to my family because maybe my sisters would like some of these clothes (not all of them were very old!). I found myself defending and trying to sell each item – I still felt better thinking someone close to me would enjoy these clothes now instead of having to donate them and lose sight of them forever… It was also pretty confronting to see my sisters’ reaction to the fact that I still owned clothes they could remember me wearing in highschool – this was when I realised that maybe not everyone holds on to clothes as long as I do. I do not think this has to be a bad thing; but it’s good to know the pitfalls of being as sentimental about clothes as I am. Apart from that, I think there is one type missing: the person who has an undefined sense of personal style but IS willing to spend money on nice, trendy clothes, resulting in a wardrobe full of items seen on blogs, friends, mannequins but lacking personality as well as coherence. My wardrobe was definitely heading in that direction before I discovered so many interesting blogs on wardrobe planning. And I know plenty of other women who have this same problem. Thanks for sharing your sentimentalist story, Liesbeth. I think a lot of others could identify with what you wrote and I’ve known some people who have held onto their clothes for many years (without wearing them). I’m kind of the opposite in that things come in and out of my closet all the time (although I’ve happily slowed the inflow down this past year). Regarding your question, I’ve passed it on to Bridgette (the follow-up article will go live next week), but my guess is that the type of person you reference would be an Identifier type. Or they could be a mix of Hoarder and Identifier. I know a lot of people like that, too, and it’s even fit me at various times in my life. We’ll see what Bridgette says, though. Good question! is there a personality opposite of hoarders? I was and still am, terrified and a bit lazy, of having too many clothes. I have spent and splurged for items, have kept a couple of items for sentimentality reasons and occasionally got brands . . But I always keep an inventory and I never let my clothes get more than an arbitrary number in my head. . I have learnt, the hard way often, to take care of clothes and identify quality items. . what closet personality is this? minimalist?